a colleague of mine showed me a TV commercial that was broadcast on TV a few years ago. the spot in question belonged to a well-known chain of British supermarkets and told of an episode that really happened on Christmas Day during the First World War. I must admit that those few seconds were enough to cheer up my day and make me think about how people of those times spent the days of this time of year. there has been an incredible technological advancement, just think of the movie "The imitation game" by Morten Tyldum. they can make us better programmers and create applications that make us and our customers happy. others are pleasant surprises like those we will receive from our loved ones during the holidays, like those that, on Christmas day were received by the soldiers. in this post, you will learn what features will be implemented in the new PHP 7.3 and which axes in the sleeve you can show off from its release. but, this is clearly not the best method to do so. 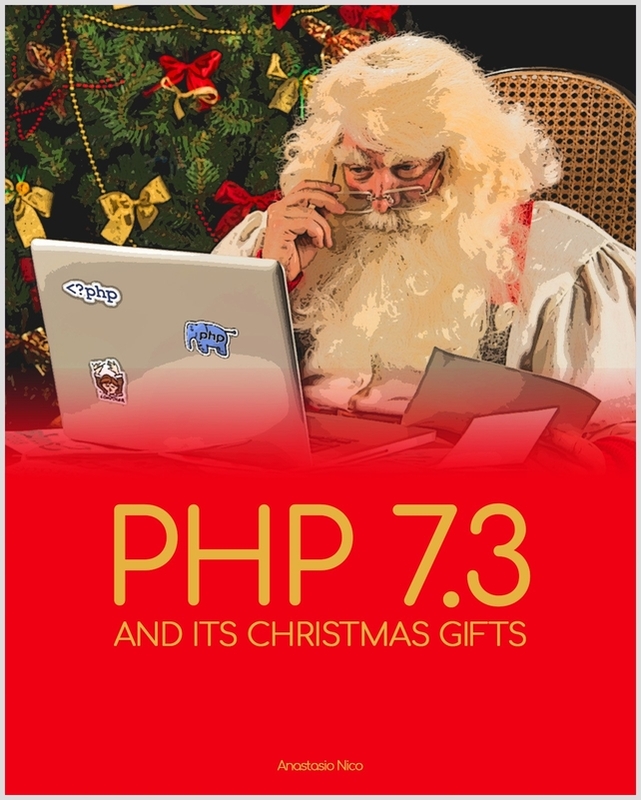 The default adaptation of PHP7.3 toward your existing code will be neutral and since it is an optional parameter after you update your PHP everything will still work as aspected. The team that is developing the new version took account of this and added a new function that will help the web developer immensely. This snippet basically does the same thing of the previous one but is much more easy to remember and most important for me more readable. Not to mention you can use this function as shown or in a ternary conditional operator which will look even more satisfying. Despite the vast numbers of tools available, at the moment, if we need to retrieve the first or the last key of an array we have to get all the keys using array_keys() and only then go for the first or last values of the array. Another way is to opt for end() or reset(). $first = array_key_first($reindeers); // $first is equal to "Rudolph"
$last = array_key_last($reindeers); // $last is equal to "Blitzen"
Since this is a function that did not exist before there are not going to be any backwards compatibility problems, the only issue could arrive if you have created and you are using your own version of array_key_first() and array_key_last(). A web developer can set a key-value pair alongside flags for the browser in order to agree if a cookie should be available or not. My personal advice is to wait to see what is going to happen. If this flag will become more used and eventually defined as a standard go for it! Speaking of backward changes, like most of the previous changes seen in this article there will be no problem when implementing it in your code. since it's not a new version, it's right this way. PHP is taking small but continuous steps that allow it to progress and improve over time despite the fact that over the years people have changed to more trendy programming languages. In the next post, you will see other miscellaneous changes and a list of features no longer in use that has finally been deprecated to make room for new projects. If the content of these posts you liked and you do not want to wait, the complete article in a single format is available as a kindle on Amazon in the link below. Are you happy with the new feature brought by the language? What are you going to use more often?